HOOI, Khoo Ying. Editor's Note. 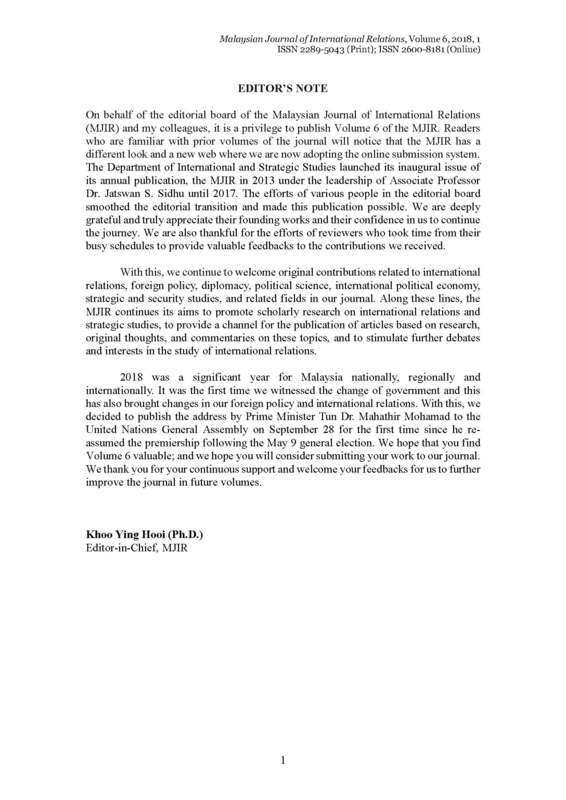 MJIR | Malaysian Journal of International Relations, [S.l. ], v. 6, p. 1, dec. 2018. ISSN 2600-8181. Available at: <https://mjir.um.edu.my/article/view/16658>. Date accessed: 26 apr. 2019. doi: https://doi.org/10.22452/mjir.vol6no1.1.